Leader are not the one that have extra information than its follower and follow are not inferior to their leader. Leader are just normal human being that same as their followers. In order to improve your followership, you need to provide value to those who willing to follow you. For example, let them know what are the benefit they can get if they follow you. Many people can get enough followership because they do not put much effort on followership and appreciate their followers. Remember that there are no well-run organization without committed and dedicated high performers and there is no great leader that know how and when to follow. Followership Is important where it will make lots of thing happen easier. You can’t just be a leader with better skills or follower when your skillset is not good as someone. There is no one designed to be better or weaker in followership. However, both leader and follower need to work together to achieve the goal. Both parties are just normal human being and they may have certain field that they don’t familiar with. Therefore, they can learn from each other about knowledge that they do not familiar with and use this chance to improve themselves. Remember both parties are important and no parties should be ignored in an organization. If one of the parties is ignored in an organization, the company productivity and relationship between both parties may get affected. Good follower will evaluate their leader and they will they will help their leader to become better person. Good followers also will teach their leader how to listen to someone advice and value someone opinion. It is important to listen to follower where they will not listen to their leader if leader doesn’t listen to them. Best follower makes best leader because they will teach their leader to have equal treatment to every followers and appreciate their work. 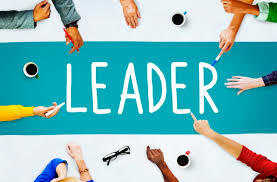 Good leader will not punish follower that ask them question or challenge them because they know that the question and challenge provided is chance for them to improve.